The Alzheimer's Research Institute makes several lifestyle recommendations for preventing Alzheimer's disease, including exercising regularly, remaining socially active, getting enough vitamins, enjoying a modest amount of beer or wine and, of course, eating healthy. For many seniors, this last point can be a bit of a challenge. We all know the importance of getting our fruits and vegetables, but actually consuming enough is another matter. "Kale chips take less than half an hour to prep." Potato chips out of the bag are high in fat and pack a lot of sodium, making them less than ideal when you're trying to eat healthy. However, with nothing more than some chopped up kale and a little bit of olive oil, you can create a healthier version of chips that has much more nutritional value. According to a kale chips recipe from Food Network's Melissa d'Arabian, these tasty snacks require less than half an hour of prep time. Kale can be a bit tough when it's raw, so if that texture isn't for you, try softening up this cruciferous vegetable by adding it to a soup or stew. As your soup simmers, the kale will wilt and provide some additional flavor to the dish. What's more, making a soup gives you an opportunity to provide other healthy ingredients such as beans and other veggies. A glass of juice or a smoothie containing kale might sound a bit overwhelming, but when mixed with other produce it can create a pretty delicious beverage. Keep in mind that kale is very bitter, so you'll need ingredients that balance out that natural flavor. If you're just trying green smoothies for the first time, The Daily Mail recommends starting with a small portion of kale and increasing it over time. The source also advises freezing kale in advance to take away some of the bitterness, and masking the strong taste with sweet fruits such as pineapple or strawberries. Though it may take a little experimentation, once you become an expert at making green smoothies, it's a great way to enjoy a lot of your necessary daily nutrients. 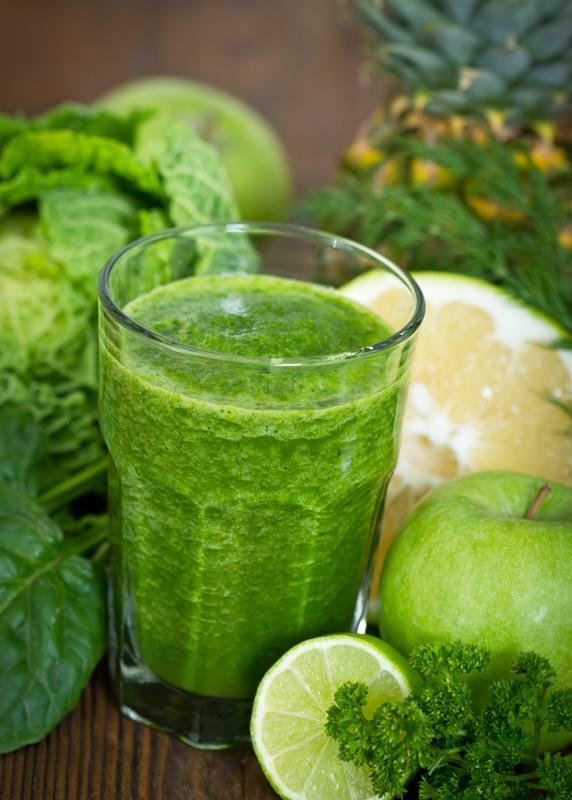 Green smoothies are becoming an increasingly popular method for getting daily nutrients. If you simply can't resist a steak sandwich on a buttered hoagie roll or juicy burger on a sesame seed bun, you might as well get some nutritional value while you indulge. Sub out that slice of pale iceberg lettuce for a good portion of raw kale for a bit of crunch or steamed kale if you need to dampen the flavor. The other ingredients on your sandwich or burger will balance out the bitterness and leave you with a handheld that's a bit more healthy. A stir fry is the perfect dish for combining lots of healthy vegetables, beans and lean meats to get a robust fill of nutrients. Once the kale is wilted, it will easily mix in with the rest of your ingredients so that it is evenly distributed, without that overwhelming bitter taste. Try complementing the kale with ginger, bell peppers and carrots, then complete the flavor profile with soy sauce and a spicy element, such as hot sauce, to preference.